Many inauspicious stars are aligned in your path, and you will be expecting a difficult year. Be cautious, as there might be financial losses. Your zodiac is in conflict with Taisui, and your career prospect is relatively poor. You might face many difficulties, including vicious competition in the industry, and you might encounter financial difficulties. Do work hard and seek countermeasures on a case-by-case basis. Your career prospect will stabilize in the second half of the year. Those born in the 1st or 2nd lunar month are expecting a smooth year at work. Those born in the other months of the year, however, might face complicated interpersonal conflicts. You are tempted to quit, but the bad luck might follow you wherever you go. This is a bad year for gambling and investment, and there is a likelihood of incurring financial loss if you gamble in football, horse racing, or invest in short term stocks. However, those born in the 1st, 2nd, or 6th lunar month may try your luck in lottery. Those born in 1989 should consider getting married or having a child this year because one happy occasion can counter three unlucky ones. Married men born in 1977 should avoid stray relationships. Spouses might get into arguments on trivial matters, and there might be conflicts among neighbors. Be mindful of the behavior of your domestic helper(s), and pay more attention to the elderly at home. Practice extra caution when driving, operating heavy machinery, or climbing up high, to avoid accidents. 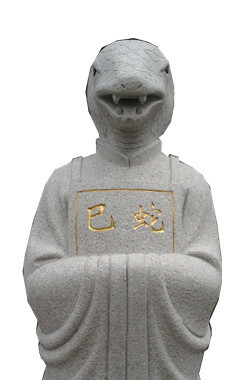 Anyone born in the year of Snake should pray to Taisui, light a lamp for blessing, and engage in more charitable deeds. Do bring home an auspicious ornament for good fortune.